Sew Much Fun’s Longarm Rental Certification class is designed to help quilters finish their own quilt tops. After completing this class you will be certified to rent our Bernina Q24 Longarm. Once you have taken our class we invite you to rent our long arm machine by the hour. You can finally turn those UFO’s into completed quilts. In this class you will learn how to properly prepare and load your quilt top, basic machine operation, and the basics of free motion quilting. You will practice threading the machine, winding bobbins, rolling your quilt, free motion and using the laser to follow a pantograph. Navigating the unique, user-friendly interface will prep you to explore the different stitch modes and enjoy the freedom that the large throat and smooth rolling Q24 offers. 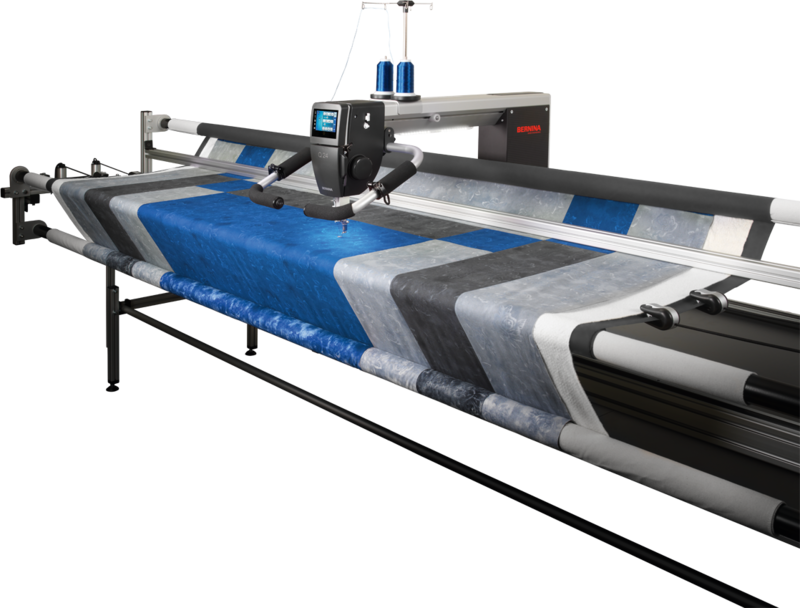 We will load a printed panel so you can practice just how easy it is to follow the outline of your fabric’s design. By the end of this class you will be able to quilt an all over design on your quilt. Quilting will never be the same. This class is for advanced beginners with knowledge of a regular sewing machine and basic quilting processes. Price includes first 2 hours of rental time.